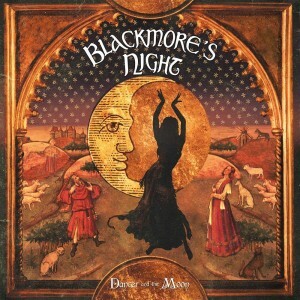 9th album from Blackmore’s Night and to be perfectly honest I lost interest in them after their third release, 2001’s “Fires At Midnight” so with almost 12 years between our worlds meeting again I am slightly dubious about what to expect. Ritchie Blackmore for me was always one of my favourite players, wonderful touch and expression on the guitar, yet I guess I felt slightly uneasy with his turn into pure medieval music. Yes there were some nice songs on the first 3 albums and indeed some good solos here and there but not enough to warrant my interest continuing with the band. Yet I find myself enjoying “Dancer And The Moon” quite profusely, Blackmore’s magnificent touch on acoustic and electric guitar (of which Ritchie seems to give more time than on my previous experiences) is still in evident, he still has good hands, something many players loose with age. Candice Night’s (or Mrs Blackmore if you will) vocals also surprised me. Gone are the somewhat weak, high pitched characterless efforts of yore to be replaced by something earthier, more powerful and more original. This is the sound of a vocalist that has found her voice and grown in confidence – no doubt aided by the constant touring the band have done over the last decade – I sort of hear a cross between Fleetwood Mac’s Stevie Nicks and Christine McVie mixed with the folk ethics of Sandy Denny (RIP). Candice also now writes strong hooks, often with a pop edge, something we all know Ritchie loves and the opening title track kicks off with this radio friendly edge and some fine electric lead work from Blackers. There seems a real bond between singer and guitarist on this new material and the whole album sounds far more confident and that of musicians at-ease with their sound. Safe to say this is Ritchie’s true love, and you do get a sense of much of his work with DP and especially Rainbow being built upon the foundations of the traditional style music we hear here, indeed the cover of Rainbow’s “Temple Of The King” works well in its new format (albeit not a million miles away from the original). Elsewhere we get the traditional Russian folk inflections of “Troika”, a dark haunting vibe for “Lady In Black” complete with flute and hurdy gurdy and this track builds nicely as it progresses. The back-to-back duo of “Somewhere Over The Sea (The Moon Is Shining)” and “The Moon Is Shining (Somewhere Over The Sea)” are both delightful pieces, the former delicate and the latter bordering as close as we get to hard rock and to be fair could have been on Rainbow’s “Bent Out Of Shape” album and not sounded out of place, a very enjoyable track with some excellent lead work from Ritchie including his trademark slide work and that wonderful vibrato. Guitar fans will also enjoy Ritchie’s solo acoustic ditties in “Minstrels In The Hall” and “Galliard” both of which feature some wonderful acoustic tones powering along their melodic motifs. Granted it still might get a little too twee in a couple of places for my own liking with “The Last Leaf” and “The Ashgrove”. but with 2 skipable tracks out of 13 is by no means a bad return. To finish off the album we get a touching instrumental tribute to Deep Purple organist Jon Lord in “Carry On… Jon”, a delicate slide guitar melody builds into a fitting tribute to Mr Lord. In conclusion, “Dancer And The Moon” has pleasantly surprised me and I’ve found myself returning to it again and again finding more to enjoy on each subsequent listen. Maybe my ears have matured? Maybe this is just better? But out of my previous Blackmore’s Night experiences (the first two bought at then high-import prices) this is easily the best and makes me wonder what I have missed out in the intervening years. Well done Mr & Mrs Blackmore. This entry was posted in Reviews and tagged Blackmore's Night, Candice Night, Dancer & The Moon, Dancer And The Moon, Jon Lord, rainbow, review, Ritchie Blackmore. Bookmark the permalink. Released August 30 in Europe and September 10 in North America via AFM Records. Frustrated by the mismanagement of his band Sinner’s back catalog by the consecutive labels who have had control, Mat Sinner has taken it upon himself to make new recordings of the best songs of the early years of the band. A noble initiative, even if he’s not the first to think of it. I vaguely remember not being overly impressed by the first Sinner album and never really following the band until the mid nineties when their dogged persistence in the face of grunge and nu metal finally made me take notice. Sinner’s last couple of albums have all been remarkably strong. The band’s melding of solid Germanic metal with Thin Lizzy inspired harmonies and hooks was very enjoyable on albums such as “One Bullet Left” or “Crash & Burn”. Listening to the songs on this album, and picturing them with slightly more shoddy 80s production, I can see why this didn’t capture my teenage thrash crazed self’s attention. With the benefit of age however, I can admit there’s plenty to enjoy. The typical Sinner blueprint is there. Sure, the song craft isn’t fully developed yet. Some of the choruses are a bit heavy handed, some of the harmonies a bit forced, but all in all the music speaks for itself. It’s lovingly crafted and, on this occasion, flawlessly executed. I’m not convinced by their idiosyncratic take on Lizzy’s “Don’t Believe A Word” but at least they gave it a go to make the song their own. If you like Sinner, this is a good addition to the CD collection. As an introduction to the band, I’d suggest looking into the more recent material first. This entry was posted in Reviews and tagged review, Sinner, Tpuch Of Sin 2. Bookmark the permalink. Marcus Jidell to many will be better known as a current guitarist in Evrgrey and a previous employee of Royal Hunt. Yet “Pictures From A Time Traveller” is the guitarists debut solo album and sees a work in the instrumental mould yet one that will come as a pleasant surprise to many. Now before you fear a million notes per second type release prepare to think again. Granted whilst Marcus can melt frets with the best out there, he also is a masterful composer and so this album works more as a collection of “songs” as opposed to mundane musical backings servicing as a backdrop for even more tasteless shredding. Fans of Evergrey will appreciate the dark undertones to the music and the album in many ways is a conceptual work in so much as the music delivers rich imagery to the listener and takes you on your own journey. Opener ‘Artica’ offers up different strands of light and shade with Jidell’s impassioned guitar work working its way through different moods over an inventive musical back from drummer Andreas Johansson and Evergrey/ Therion/Mind’s Eye bassist Johan Niemann and even Marcus’ own father on cello! Other musicians featured on the album include Evergrey drummer Hannes Van Dahl on 2 tracks and former Yngwie Malmsteen bassist, Svante Henryson on Cello. “Pictures From A Time Traveller” boasts a strong textural backdrop of keyboard and piano which help create more depth throughout the album. “Huldra (Ruler Of The Forest)” is built around a jaunty almost folk like melody whilst “Tesla World System” is a 70’s prog influenced meets gothic metal type affair with a organ solo from Royal Hunt’s mastermind Andre’ Andersen as well. “Rei-Zan” is built around an emotional melodic theme which allows Marcus the chance to really show what he can do with soulful string bends and note choice. The six minute “El-Amarna (Ruins of Akhetaton)” has, as its title suggest, an almost Egyptian theme to the melody and the track is a definite highlight building as it goes along, and there is some truly fine fretwork here. “Space Dog” fuses metal riffs and even more quality leads with a Pink Floyd type ambient backdrop before the album closes with the delicate “Wedding Song”. With a running time of just under 34 minutes for the 7 songs on “Pictures From A Time Traveller” this album certainly won’t outstay its welcome, indeed you will find yourself longing for more. This is also an album that I can see staying with the listener for a long time, there is a lot of discover contained within, yet also enough from the first listen to get you interested in the first place. 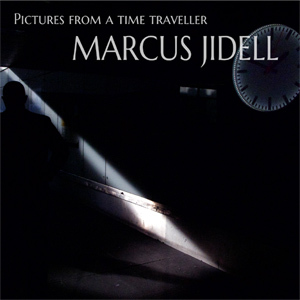 Marcus Jidell has delivered a first class album with “Pictures From A Time Traveller” sporting excellent song craft, superb performances from all involved and a very strong production to boot. Budding instrumental guitarists of the world grab this when released (digital only) on 16 August and give yourself a master class in how good the genre can be. This entry was posted in Reviews and tagged Evergrey, Johan Niemann, Lion Music, Marcus Jidell, Pictures From A Time Traveller, review, Royal Hunt, Svante Henryson. Bookmark the permalink. Review originally published in Feb 2004. The second album from the reformed classic line-up (albeit still with Janick Gers on 3rd guitar), ‘Dance Of Death’ sees the band building on the basis that Brave New World provided and added a more progressive tinged sound. Make no mistake this is Maiden all the way but the majority of tracks do have an added energy, life and enthusiasm about them. Opener “Wildest Dreams” is a standard obvious Maiden single fare and pretty uninspiring but things pick up considerably for the likes of “Rainmaker”, the stunning “Montsegur” (vintage Maiden) which is also home to some superb lyrics. The title track sees nice use of orchestration and is somewhat of a Maiden epic with a sublime almost celtic melody that just builds and builds. IMO Maiden should forget about the 3 1/2 minute “bland single” and concentrate on this sort of stuff. Proof of this is further enhanced by the war influenced” Paschendale” which is pure class. “Face In The Sand” is also another prog-tinged highlight. 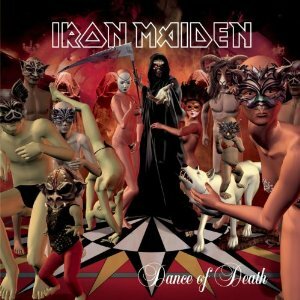 “Dance Of Death” shows a band that has obviously still got something to offer and shows the band are still writing material that is as good as what is seen as the classic era. I am still not convinced as to the need for a 3 guitar line-up – but at least the band still have fire in their bellies. Music need Maiden and for that alone be thankful they are still out there bashing away. This entry was posted in Reviews and tagged Dance of Death, Iron Maiden, review. Bookmark the permalink. Chicago based doomsters Trouble are back with “The Distortion Field” and a welcome return it is too for one of my favourite bands. Whether it be forging a new doom metal path taking its cues from Sabbath for the opening classic duo of “The Skull” or “Psalm 9”, or adding a 70’s groove edge to their 90’s works, Trouble have always been one of the most exciting metal bands out there and their influence can be heard in metal bands from Metallica to Soundgarden to Corrosion Of Conformity and beyond. The last few years have however been of concern to fans of the band. Since 2007’s stellar “Simple Mind Condition”, out went original vocalist Eric Wagner who was replaced by Kory Clarke (of Warrior Soul err notoriety) with the pairing being a thoroughly disjointed affair. Fortunately another change has happened at the vocal mic with Kyle Thomas now fronting the band and his varied vocal attack suits the bands trademark riffs well. The opening duo of “Paranoia Conspiracy” and “When The Sky Comes Down” see the band back to top form, awesome riffs, great lead interplay between Bruce Franklin and Rick Wartell (these guys should be heralded up there with the same celebration the likes of of Murray/Smith, Tipton/Downing etc get). Whether its Franklin’s more groove inspired riffs or Wartell’s doom mongering riffs it’s a delight to hear them as fired up as they sound on “The Distortion Field”. Throughout we get a mix of the bands early sound, the 90’s groove years and its like a complete package of what Trouble do best, “Sink Or Swim” is a gem, whilst “Hunters Of Doom” would have fit nicely on the bands 1990 self titled classic and the psychedelic aspect of the bands doom is best exemplified on “Greying Chill Of Autumn”. More melodic relief from the metal onslaught comes in “Have I Told You” and “Butterflies” both of which intertwine well with their heavier counterparts. 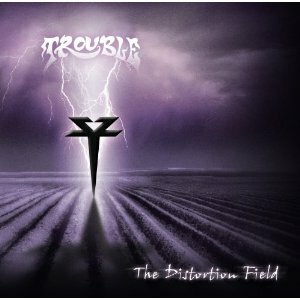 Overall Trouble have returned with a fine album which sees them delivering an album that ranks up there with the best of their back catalogue. This is recommendation enough. This entry was posted in Reviews and tagged Bruce Franklin, Chicago, Doom metal, review, Rick Wartell, The Distortion Field, Trouble. Bookmark the permalink. Joe Bonamassa, a household name in the blues community, was recently elected as the youngest member of the board of directors of The Blues Foundation, the USA’s largest and most respected blues music organisation – quite an honour, yet give the quality and quick turnaround of his last five albums you can see why. 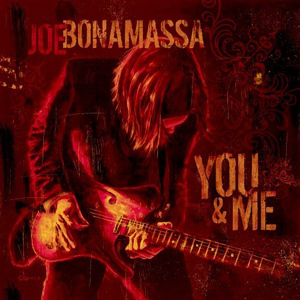 “You and Me” is Bonamassa’s sixth studio CD and contains 11 brand new tracks and is home to a monster backing band in Jason Bonham on drums (yes John’s son) and Carmine Rojas on Bass Guitar and Rick Melick on Organ and Tambourine. Bonamassa is clearly in music for one reason – the music. This shines through his relentless non stop touring (always on the road) or recording new material when not on tour. Bonamassa is taking blues back to the people and at his tender age don’t be surprised if this guy really hits in the next couple of years – much as Stevie Ray Vaughan did. What Joe has going for him, more so than many other US blues players is a strong British vibe in his work, you can hear the influences the like of Clapton, Page and Beck have had on him and the majority of his material reflects the heavier guitar side of blues – albeit with more tradition and soul than Gary Moore has shown on his last few “through the motions” blues releases. Stylistically this is a great mix of tunes from the traditional opener “High Water Everywhere” to the blistering blues rock of “Bridge To Better Days”, the slow blues of “Asking Around For You” and the musically rich instrumental “Django” . The album even features a faithful cover of Led Zeppelin’s “Tea For One” (one of their often overlooked gems), really the guitar playing is faultless, the song writing top notch and performances superb. My only real gripe is Kevin Shirley’s production which to these ears has added an overly dark edge to Bonmassa’s raw tone (I prefer the production on the previous ‘Had To Cry Today’) but this is a minor niggle. Overall “You and Me” is another quality release from this blues hound which is as good as the previous release ‘Had To Cry Today’. This entry was posted in Reviews and tagged Carmine Rojas, Jason Bonham, Joe Bonamassa, review, you & me, you and me. Bookmark the permalink. This live recording from Joe Bonamassa, a guitarist that has the potential to be the next mega guitar hero is actually from a gig back in 2001. Recorded at Ft. Wayne, Indiana, USA this originally cropped up as a bonus DVD on a ltd edition version of Bonamassa’s “So, Its Like That” album, this has since become a collectors item (incidentally this disc will see a DVD bonus disc for a ltd edition Europe – pick it up – it smokes!). In short “A New Day Yesterday Live” showcases Bonamassa in the live arena and not only features his immense guitar work, tone and taste, but also that of the rest of the power trio and indeed Bonamassa’s vocals. We have a mix of original and cover material (such as Jeff Beck’s “Rice Pudding”) and there is not a duff moment in sight. Album closer “Don’t Burn Down That Bridge” is the highlight with its sublime riff and blistering lead work from Joe. Overall, this is an excellent addition to any fan of smokin’ guitar work and live energy. 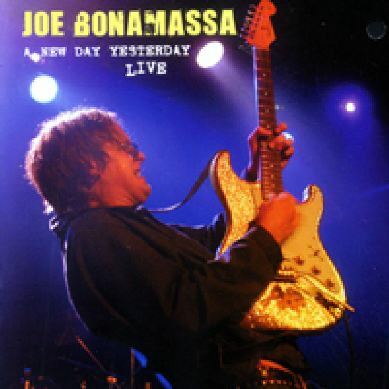 This entry was posted in Reviews and tagged Joe Bonamassa, New Day Yesterday Live, review. Bookmark the permalink. You want blues? You got them and you also have probably THE best blues album for some years (or at least since the last Bonamassa release). For the uneducated this Bonamassa is in his early 20’s yet has the vocabulary of a player that has absorbed all the blues has to offer and then turns into his own recognisable style. Forget Kenny Wayne Shepher, Johnny Lang, heck Stevie Ray Vaughan, this is the new voice in blues and boy can the kid play. If you have a penchant for Johnny Winter, Jeff Beck (rough and ready era), the blues side of Led Zeppelin mixed with hints of Allman Brothers then Had To Cry Today is an essential purchase. Had To Cry Today sees a collection of new Bonamassa originals and covers. Opener “Never Make Your Move Too Soon” opens the album is fine style with its upbeat rocking pulse before the delta blues slide of “Travellin South” is perfect for cruising in the car. Every track has merit yet the title track and cover of the Blind Faith track “Had To Cry Today” takes pick of the bunch. Here Bonamassa makes the song his own and the 2 solos here are so full of taste, aggression and plain exuberance that any guitar fan will lap this up. “Had To Cry Today” is a must have purchase for anyone with a liking for blues rock guitar. 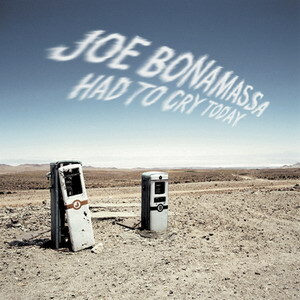 This entry was posted in Reviews and tagged Had To Cry Today, Joe Bonamassa, review. Bookmark the permalink. Keyboard whiz Richard Andersson returns with the second Time Requiem album – “The Inner Circle Of Reality”. The bands debut from 2002 was a superb slice of progressive neo-classical metal with a strong Malmsteen overtone to it. 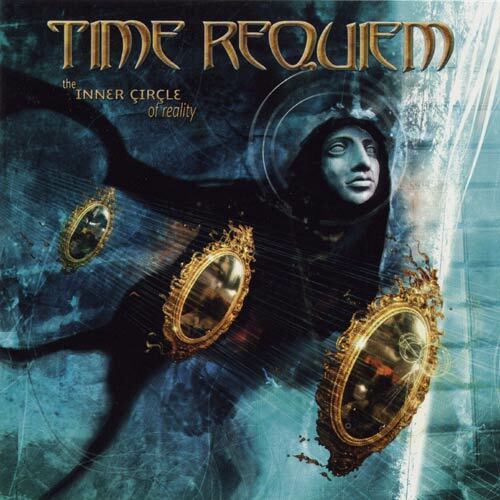 “The Inner Circle Of Reality” sees the Malmsteen-esque sound being replaced by a sound more inline with the likes of Symphony X or Adagio (of whom Andersson contributed solos for Sanctus Ignis). This is however much more keyboard led than either Symphony X or Adagio and this is what keeps Time Requiem original in a highly competitive genre. The band has seen a couple of personnel changes with bassist Jonas Reingold and Zoltan Csörsz in the drummers seat. The album was recorded and mixed by Reingold and Andersson and the sonic results are very powerful. Opener “Reflections” is sure to please all fans of Symphony X thanks its intricate riffing and powerful vocals courtesy of Apollo Papathansio (a cross between Jorn Lande and Russell Allen), this is a very intense track that just begs to be cranked up. Title track “The Inner Circle Of Reality” is an epic in every sense, clocking in at over 11 minutes it takes you through a myriad of levels thanks to its very progressive nature. The verse is quite superb with a very classy melody line and this gives added weight to the package. The track has a slight neo-classical feel in places which is sure to make fans of the bands debut feel right at home. At around the six minute mark Richard Andersson takes us back to 70’s Prog with a keyboard solo that is quite Rick Wakeman. This then moves into territory similar to that of U.K. with some greet Mini Moog-esque sounds being used before guitarist Magnus Nordh comes in with a smooth legato filled solo. This causes Andersson to up his chops and we are flying high! The track then leads back into another verse and chorus and the track comes full circle. “Dreams Of Tomorrow” starts with a dark mystical quality with harpsichords, horns and cymbal crashes, close to Adagio, a dark nature lends itself to Apollo Papathansio delivering a very classy vocal. The track has a superb chorus, which sees a great musical progression underneath. The track is a bit more guitar led than the other numbers and this helps make the riff stand out. The solo sections see some blazing duels from Nordh and Andersson. Andersson’s solo here being positively blinding. The trademark Time Requiem sound leads us into “Attar Of Roses”. This track has a very majestic quality to it (in both sound and reference to Majestic – Andersson’s previous band). The neo-classical overtones are here in spades and make you realise just what a special partnership Richard Andersson and Yngwie Malmsteen could have if they ever get around to hooking up! The solo section sees all manner of classical inflections from Andersson and makes you realise why he is at the top of the metal keyboard player rostrum. But it’s the strength of the verse that really makes the track quite superb. “Definition Of Insanity” begins with keyboards and drums setting a heavy prog setting. This transcends into a progression that fans of Dream Theater will appreciate right away. The track is up-tempo but is the most mainstream sounding track on the album – catchy metal with progressive overtones. “Quest Of A Million Souls” sees Andersson lay down some sublime keyboard solos. What sets this guy apart from a lot of metal crowd is his ability to add a very human lyrical quality to his work. This is achieved by making great use of the pitch wheel and sounds that although familiar seem warmer than the average synth tone. The almost ballad nature of the track does offer some rest from the frantic work found elsewhere, but the classical influences again rear there head on the chorus chord progression. “Hidden Memories” you just know is gonna be killer from as soon as the initial keyboard pattern rings out. I hear shades of Mike Oldfield’s Tubular Bells here as well as a little Images & Words era Dream Theater in the intro. This is thrown out the window for the relatively simple verses and a chorus that manages to combine frantic double bass drum work with a simple vocal melody line. Then a variation on the intro comes back and you realise how well the blend works. Andersson’s keyboard solo really hits all the right notes, with an almost Malmsteen feel to the way he can extend passages and yet maintain the interest of the listener. A short instrumental piece between Andersson and bassist Jonas Reingold for” Bach Prelude Variations”. Short, classic, and a nice way to end the album. 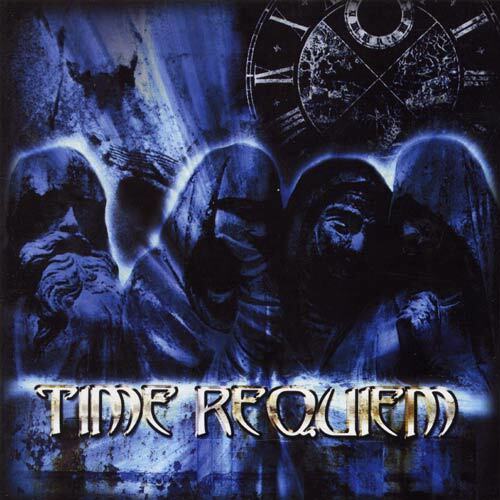 With The Inner Circle Of Reality, Time Requiem has managed to add another extremely strong album to their discography. I probably prefer the bands’ debut a little more due to the slightly more neo-classical nature of it, but there is a lot to absorb and enjoy on this release. The band are obviously maturing and honing their sound to something that Richard Andersson’s ideal vision represents and it’s a ride that is a very rewarding one. Hot Spots : Reflections, The Inner Circle Of Reality, Attar Of Roses, Hidden Memories. This entry was posted in Reviews and tagged Inner Circle Of Reality, Jonas Reingold, review, Richard Andersson, Sanctus Ignis, Symphony X, Time Requiem, Yngwie Malmsteen. Bookmark the permalink. Led by keyboard wizard Richard Andersson, Time Requiem’s self titled debut album is everything that Andersson felt Majestic were not. What we have is a dark deeply classical prog power metal release. Whilst leaning more towards Adagio than Artension, Time Requiem is pure quality from start to finish. Complex arrangements meet head on with classy vocals from Apollo Papathanasio for such captivating melodies as on the title track and “Watching The Tower Of Skies”. Think of Andersson as the Yngwie of the keyboard world, this is packed full of his keyboard flurries but this guy has soul making great use of the pitch wheel. To hear this guy on a Yngwie album would be pure magic. In the meantime this album will satisfy and look out for a new studio album and live album over the next couple of months. Fans of Adagio, Symphony X and Yngwie Malmsteen pick this up a.s.a.p. This entry was posted in Reviews and tagged Apollo Papathanasio, Majestic, review, Richard Andersson, Time Requiem. Bookmark the permalink.